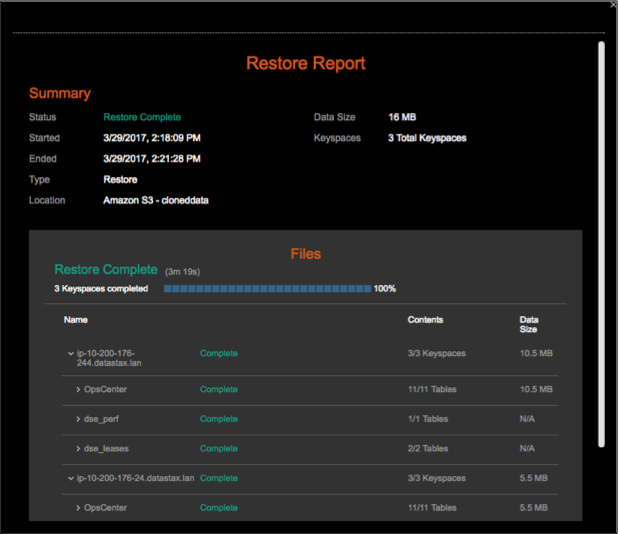 Note: If the backup contains encrypted tables created prior to DataStax Enterprise 4.0.4 or 4.5.2, you will not be able to restore the snapshot. 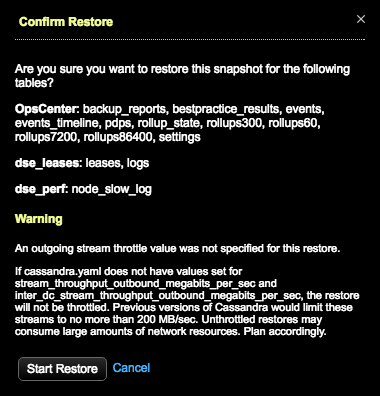 Due to a bug in Cassandra, backups containing encrypted table data from versions prior to 4.0.4 and 4.5.2 do not contain the necessary keys to restore the backup. 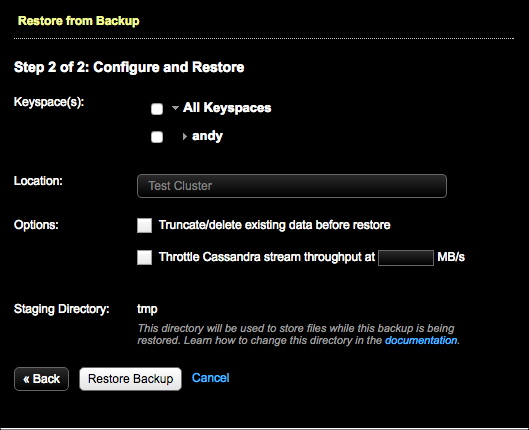 To restore an encrypted backup, the agent must be granted password-less sudo access on the DataStax Enterprise nodes. This has already been granted if you used OpsCenter to install the agents. 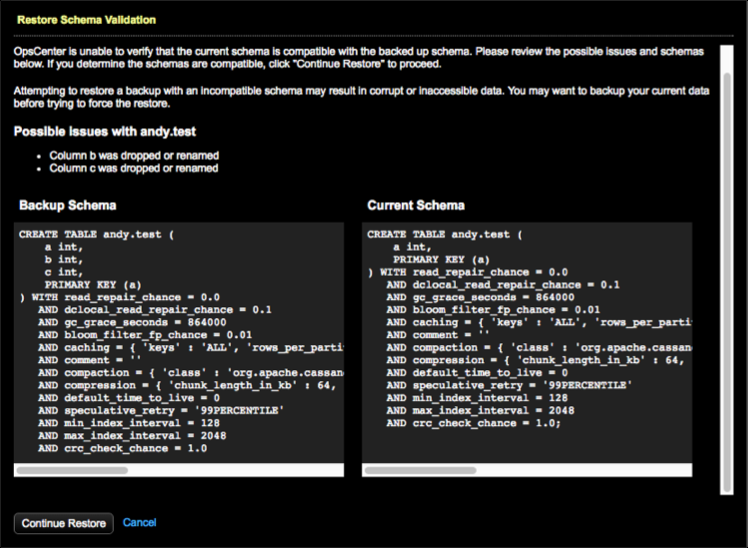 If you are running the agent as a different user than DataStax Enterprise and need to restore encrypted tables, you must manually restore the system_key table. 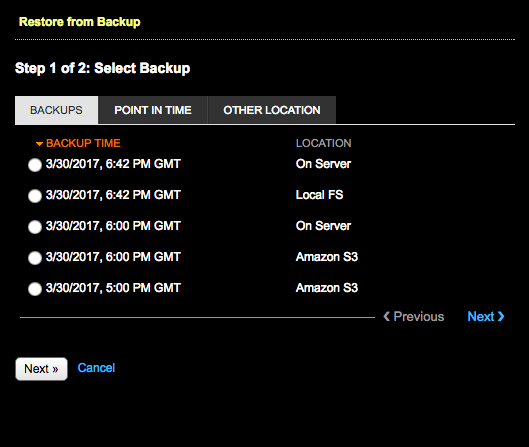 Select the backup to restore in the list of backups and click Next.